In this article we will take a look at what Lockout Tagout is, what it can protect against and when it should be used. So the first question if you are not already familiar is; what is lockout tagout? Refers to physically keeping equipment from being re-energised when there is maintenance work being is being carried out, guarding against movement, releasing stored energy or gases and fluids flowing. Once the equipment being worked on has been safely isolated and protected, the next step ideally is to tag it, providing details on the process and what is being protected etc. What energies does Lockout Tagout protect injury from? 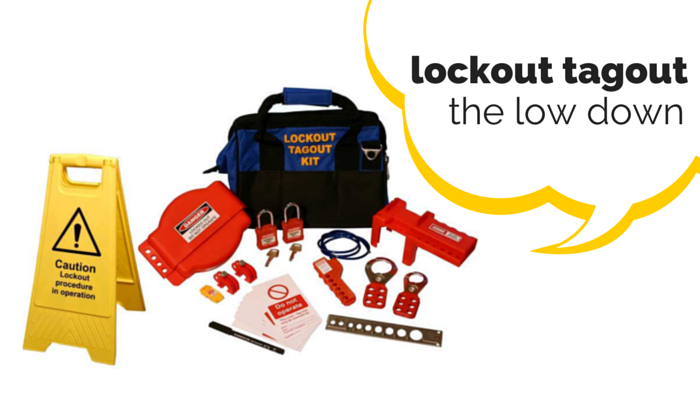 So now you know what Lockout Tagout is, but what energies does the procedure protect you from? Now you know a bit more about lockout tagout, I guess the next question is when should you use the procedure and how. The procedure should be used when repair or maintenance is to be carried out, and where such maintenance or repair could cause injury by the unexpected release of energy. The employer should ensure that there is adequate equipment to carry out the procedure and any necessary training. However, the responsibility falls on both employer and employee to ensure that it is carried out as health and safety is everyone’s responsibility. Why use Tags as well as a Lockout device? What are the best Lockout Tagout products to invest in? Tags : lockout tagout what is lockout tagout? when to use lockout tagout? how to use lockout tagout?